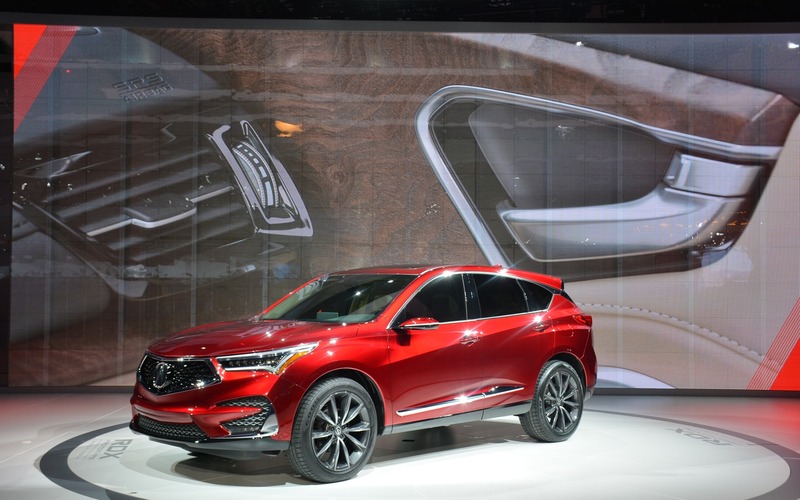 DETROIT, Michigan – With North American SUV sales at an all-time high, Honda's luxury arm plans on taking advantage with the reveal of its all-new RDX compact crossover prototype at the 2018 North American International Auto Show in Detroit. The label “prototype” may be attached to it, but according to Acura executives, this latest RDX is just about complete with an on-sale date in mid-2018 as a 2019 model-year vehicle. But for Acura, this wasn't your regular reveal resembling an upscale version of the Honda CR-V. 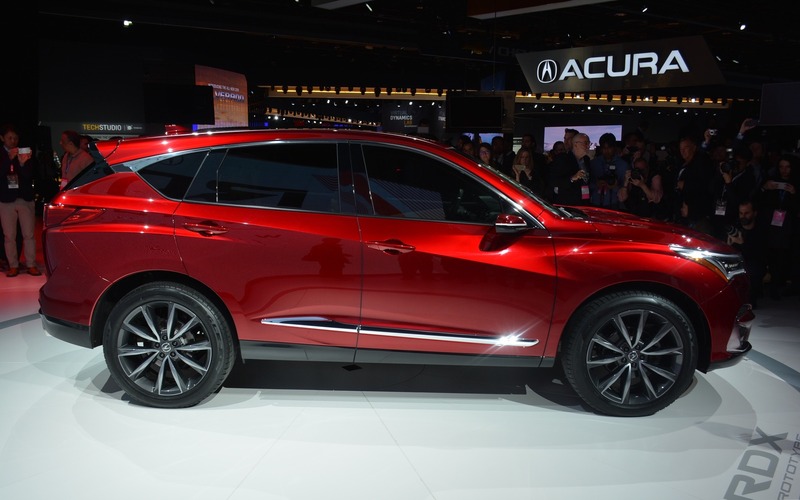 The new third-generation RDX is the first one to be designed and developed in the United States on an exclusive all-new platform. It takes on a clean sheet, top-to-bottom reboot in an attempt to spark a new era and generation of Acura products to come. "For our customers, the new RDX is a quantum leap forward in design, style and performance, with luxury features and technology that will elevate their ownership experience," said Jon Ikeda, vice president and general manager of Acura. This big stylish push by Acura has a lot to do with a bolder, more dynamic design language found in the Precision Concept shown off two years ago at this same Detroit show. Overall, the RDX is 2.5 inches longer in wheelbase and wider than its outgoing version, but the details are all in its design. A more chiselled physique is exactly what Acura needed in face of its previous conservative trends. Boundaries are pushed through a low, wide and sleek appearance featuring edgy cutlines throughout its body, a sweeping silhouette and flared wheels without the over-the-top grille found on its closest rival, the Lexus RX. Up front, the RDX employs the feel of the Precision Concept with a new diamond pentagon grille in a more pronounced angular V-shape with honeycomb backdrop. Complementing this look are striking next-generation Jewel Eye LED headlights, providing the RDX with that signature touch. Inside is the heart of SUVs and that's where the biggest impact is made with a modern, futuristic look that will appeal to the luxury or technology-driven buyer. Acuras in the past have been plagued by a look that feels more Honda than luxury. With the RDX that's all changed, starting with a standard ultra-wide panoramic sliding moonroof along with premium materials such as Nappa leather, brushed aluminum and open-pore Olive Ash wood throughout. Size and comfort are key for any SUV buyer and that's been addressed with class-leading cabin and cargo space, rear legroom and bonus underfloor storage. On the technical end, a new floating 10.2-inch HD display, an interactive 10.5-inch head-up display (HUD), a touchpad interface and an Android-based operating system brings a lot of “wow” factor to the brand. 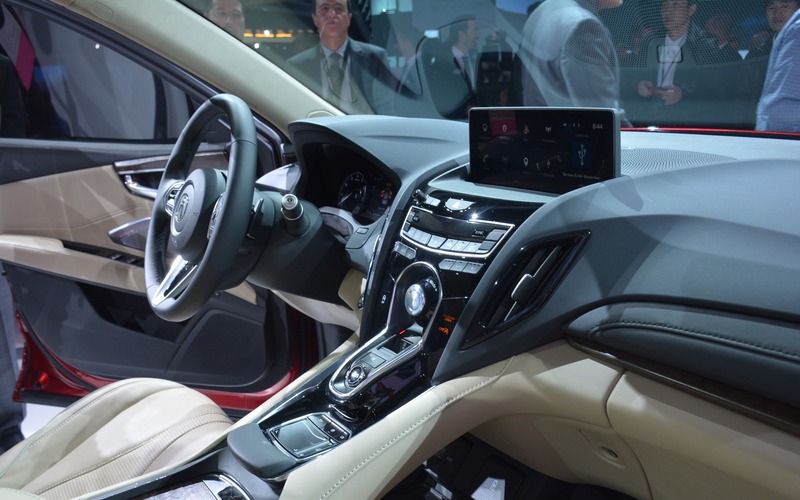 According to Acura, each tap on the touchpad is made with precision and limited distraction. If that doesn't float your boat, there's also a new voice recognition system that can be utilized. The theme of all-new continues under the hood with a powerful turbocharged engine that's been downsized to a direct-injected, 2.0-litre four cylinder matched to a segment-first 10-speed automatic transmission, capitalizing on a flat torque curve. In addition, it receives Acura's torque-vectoring Super-Handling All-Wheel Drive (SH-AWD) that has a 40-percent increase in torque capacity from its outgoing model. The comeback of SH-AWD combined with standardized AcuraWatch, its suite of advanced safety technology, quickly makes the RDX a segment leader in safety. If you're looking for a sportier touch, Acura will be offering an A-Spec trim for the first time, to be revealed in mid-2018. Exterior enhancements should come in the form of larger wheels, rear spoiler, fog lights, side sills and aluminum pedals. Going forward, Acura plans for all of its models to come with an A-Spec variant option. Considering that the crossover/SUV market is Acura's bread-and-butter, with the RDX and MDX leaps and bounds ahead of anything else it sells, it only makes sense to modernize its fleet and let sales flourish. At the end of 2017, RDX sales in Canada only increased by a measly 54 units (0.70 percent) when compared to its biggest rival, the Lexus RX that jumped 15.4 percent. The production version of the 2019 Acura RDX is expected to be released in mid-2018, with the A-Spec to be revealed around the same time.